You might have noticed that am running a month of Mega marathon with 4 different themes for four weeks. After some International breakfast dishes from different countries this week's theme is NO Onion NO garlic dishes. After two different dishes, my today's post will definitely become everyone's favourite if you serve them with some fabulous Naans or kulchas.Seriously if you are planning something easy to enjoy a paneer based side dish for dinner or else for a get together, dont forget to give a try to this interesting and an easy side dish to please anyone's tastebuds. This simple version of restaurant style Paneer butter masala is definitely a crowd pleaser, prefect side for who ever doesnt eat both onions or garlic. Take the cashew nuts and crushed tomatoes in a blender with enough water to make a smooth paste. Grind the ginger-green chillies as smooth paste. In a pan, take the butter and crack the cumin seeds. Immediately add the green cardamom, ginger-green chilly paste and saute until a nice aroma comes from. Meanwhile soak the paneer cubes in warm water. Now add the already prepared tomato paste and cook for few minutes. Add the kashmiri chilly powder, give a stir. Now add the crushed kasoori methi and cook for a while. Now add the milk and bring to boil, add water and adjust the consistency of the masala. Once the oil gets separated from the gravy, add the paneer pieces and boil the gravy for few minutes. Put off the stove and add the cream, give a stir. Serve with naan, rotis or chappathis. Neenga kalakunga thala. Looks sooooooo delicious. I always make PB masala without onions and garlic.. The colour is a killer.. My fav with some buttery naan..
Wow !..what a vibrant looking Paneer Butter Masala. This is one dish that is always a hit at any party and to make it No Onion, No garlic dish..it is fantastic. The Jains would love it here. Super one Priya. 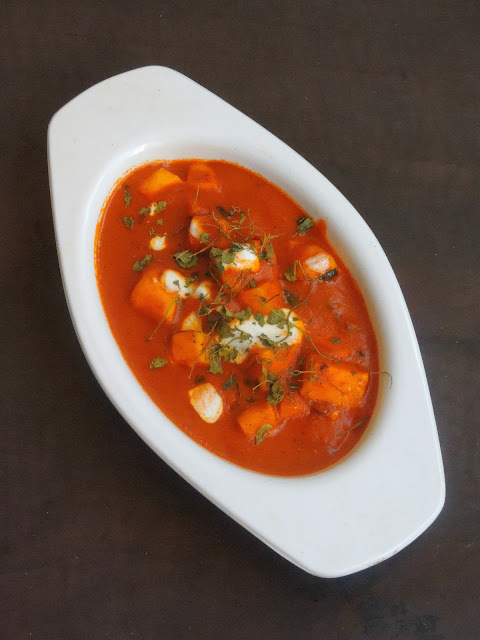 That is an awesome looking paneer butter masala, Priya. Even without garlic and onions, they sound super inviting..
oh my god !! This is my daughters all time fav. PBM looks so yummy and such a rich and Luscious gravy aks, I would love to finish the bowl with any tandoori naan.. The color is so vibrant .. Vai urrudhe! !This is a perfect recipe for the theme :) totally loving it !! You have turned a classic dish into a o onion and no garlic one! Awesome Priya! The gravy looks so vibrant! Wow, i would never thought of making pbm without garlic and onion. Great share,Priya. PBM looks so good and vibrant. Bookmarked it to give a try on this version. Ah this is an ultimate one that you can make without onion or garlic..the colour looks so bright and awesome! Never thought of making paneer butter masala without onions and garlic. But your recipe sure sounds lovely without those ingredients. I would love to try it out some time. Mostly on Thursdays, I make this PBM as no onion no garlic. Love your rich version with cashews and cream. And that color is so inviting. 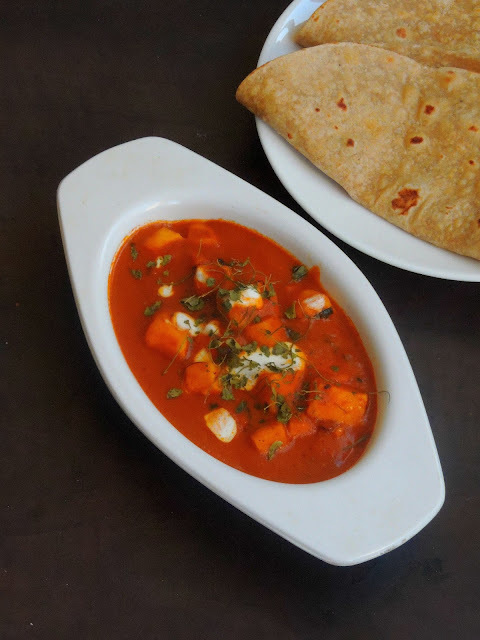 Wow what a delicious looking paneer sabji. Love the colour of the gravy and it must have tasted so creamy because of the cashew nuts. PBM without onion and garlic looks so rich and creamy and I could not imagine it without those. Love the color of the gravy. Wow Priya that is one classic dish! 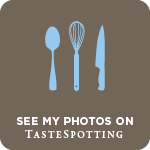 Looks totally droolicious! !that color of the gravy is spot on!! I make the no onion version of paneer butter masala too and we love it. I don't miss the onions in this one. I love how beautiful your gravy color is. Would love to have the whole bowl. Would love to grab that platter and enjoy. :) Love the vibrant color here and the masala gravy sounds rich and flavorful. 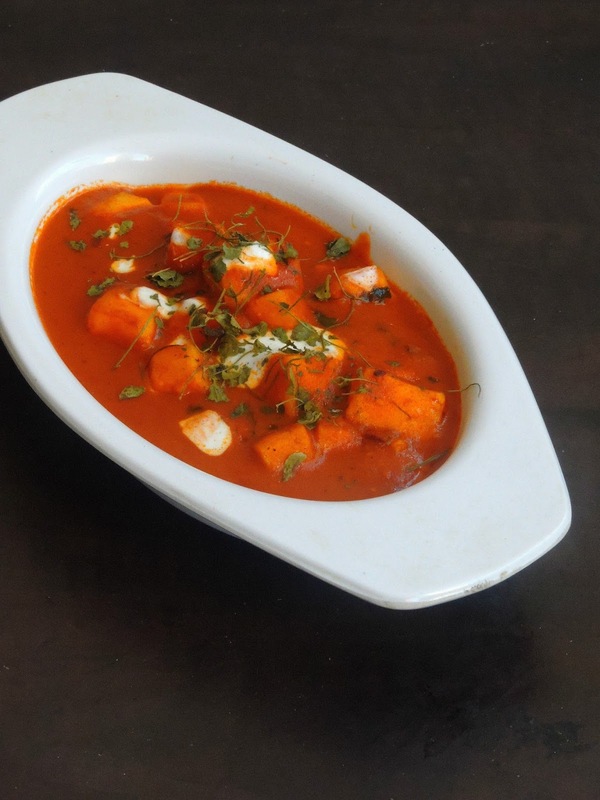 Paneer gravy looks so rich and creamy... lovthe no onion and garlic version.